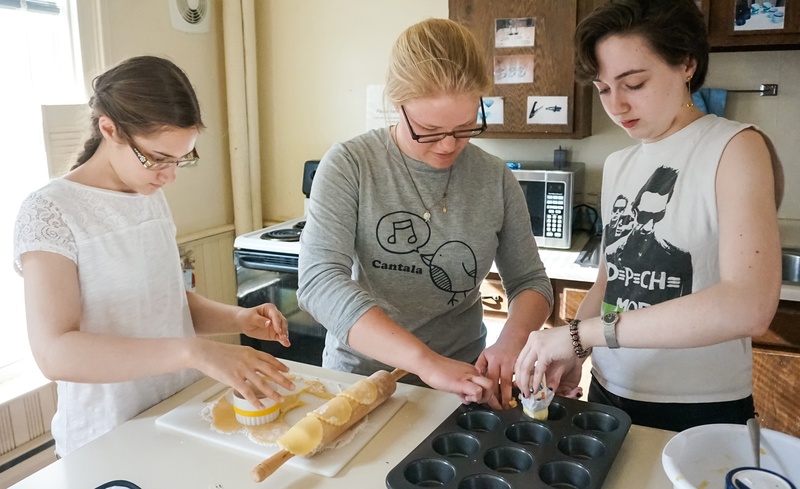 On Saturday, April 8, Lawrentians tested their baking skills against British homebakers during The Great British Bake-off Viewing Party, hosted at International House. Students made Bakewell Tarts with raspberry jam. While the tarts were in the oven, the bakers enjoyed watching the contestants in “Season Five, Episode 1” of The Great British Bake-off present their own swiss rolls and sponge cakes for judging. A photo of the finished Bakewell Tarts, enjoyed after watching an episode of The Great British Bake-off. 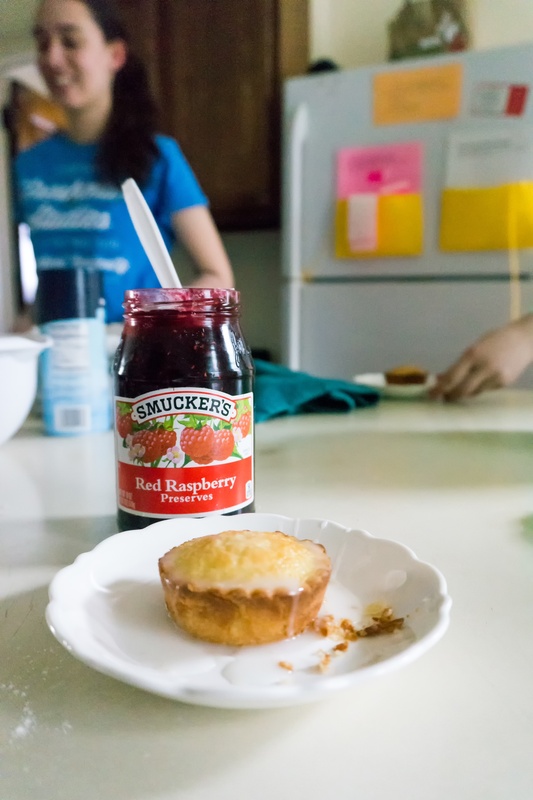 From left to right: Freshman Maria Santos, senior Katie Nelson and senior Maddy Brotherton prepare Bakewell Tarts.